Cloyes Hex-A-Just Timing Chain Sets are infinitely adjustable to +/- 6°. The accuracy and simplicity of this system is unmatched. 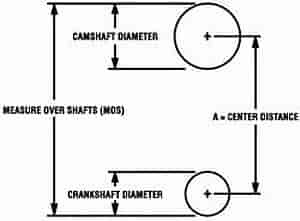 Sets have billet steel camshaft sprockets and all the features of True Roller Chains. Note: Some small and big Chevy and big block Chrysler sets include needle thrust bearing. Does Cloyes 9-3110A-10 fit your vehicle?